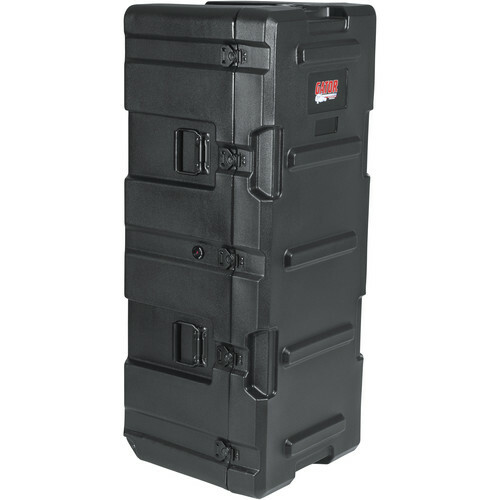 The ATA Roto-Molded Utility Case 45 x 17 x 15" Interior from Gator Cases is designed from rotationally molded Polyethelyne and features a pressure release valve. The case is stackable for maximum storage efficiency. The hardware is made of durable stainless steel and coated with black powder. The case also has built-in pressure release valve to compensate for changes in air pressure. Box Dimensions (LxWxH) 49.5 x 20.5 x 20.1"
Yes this case can be locked. You can use TSA Approved Locks.